Golden Gate Sotheby’s formerly Decker Bullock Sotheby’s International Realty closed 2016 at the top of its game and ahead of all competitors for the second consecutive year. 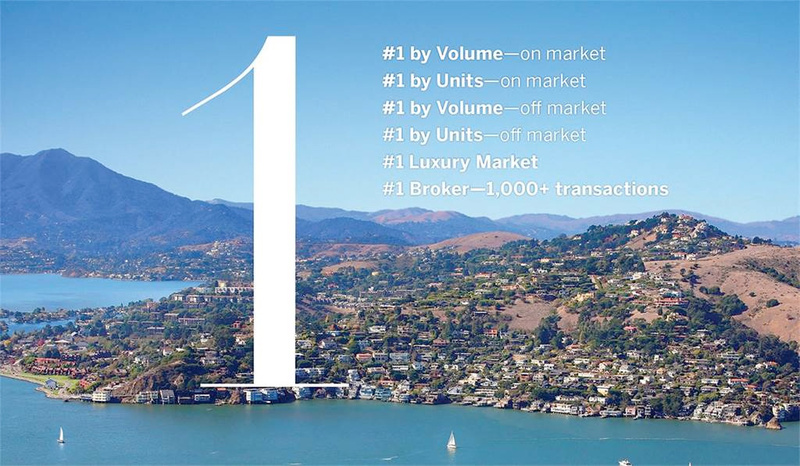 The brokerage announced its number one position in all the key metrics: unit sales, volume, both on and off market, according to statistics from BAREIS MLS. 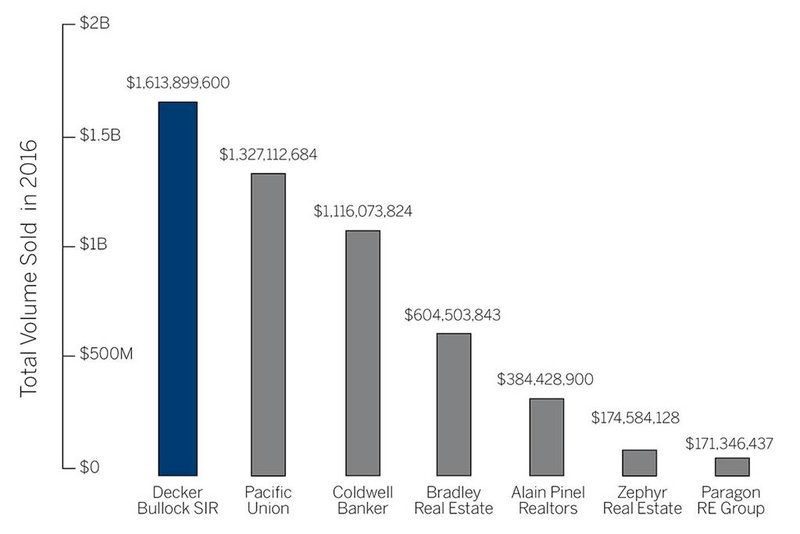 The company represented 21% of the Marin County market, topping Pacific Union International (17%), Coldwell Banker (15%), Bradley Real Estate (8%), Alain Pinel (5%), Zephyr (2%), Paragon (2%) and Marin Modern (2%). This year BAREIS MLS added an off market function to the data set and Golden Gate Sotheby’s International Realty had the leading market share in off market sales at 25%, nearly 10% more than the nearest competitor. The company has had a history of record-setting sales in areas such as Belvedere, Kentfield, Ross, Sausalito, and Tiburon, as well as most communities in Central and West Marin. Now it has expanded its footprint to include Stinson Beach, San Rafael and Novato, finishing the year as the only brokerage closing over 1,000 transactions in Marin County. Golden Gate Sotheby’s International Realty has approximately 400 agents in 18 offices throughout the San Francisco Bay Area serving the counties of Alameda, Contra Costa, Marin, Napa, San Mateo, Santa Clara, Sonoma and San Francisco. GGSIR is your local connection for global exposure. Click on the video or the link below for more information.